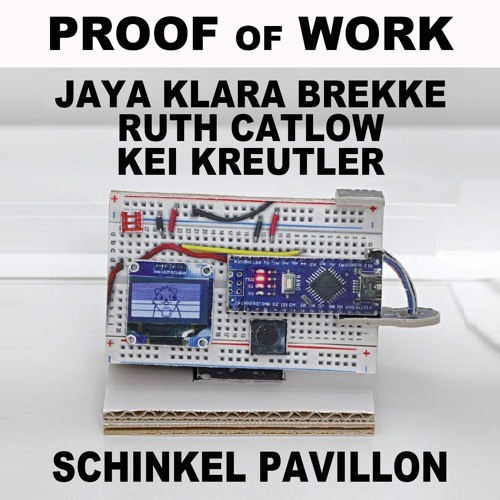 The discussion was recorded December 15, 2018 at the Schinkel Pavillon in Berlin for the closing event of “PROOF of WORK,” an exhibition curated by artist Simon Denny. The panel features three individuals working at the intersection of art & blockchain tech: scholar and creative producer Jaya-Klara BREKKE; artist and director of Furtherfield, Ruth CATLOW; and researcher and Gnosis strategist Kei KREUTLER. This recording has been made possible by the Schinkel Pavillon, Berlin, facilitated by Annina Herzer, Annika Kuhlmann, and Nina Pohl. It has been edited by New Models for the at-home pod-listener’s ease. The panel was moderated by New Models’ Caroline Busta.